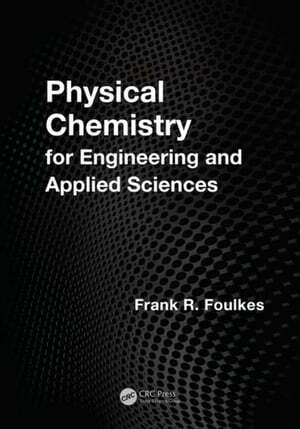 Collins Booksellers - Physical Chemistry for Engineering and Applied Sciences by Foulkes, Frank R., 9781466518476. Buy this book online. Physical Chemistry for Engineering and Applied Sciences is the product of over 30 years of teaching first-year Physical Chemistry as part of the Faculty of Applied Science and Engineering at the University of Toronto. Designed to be as rigorous as compatible with a first-year student's ability to understand, the text presents detailed step-by-step derivations of the equations that permit the student to follow the underlying logic and, of equal importance, to appreciate any simplifying assumptions made or mathematical tricks employed. In addition to the 600 exercises and end-of-chapter problems, the text is rich in worked non-trivial examples, many of which are designed to be inspiring and thought-provoking. Step-by-step derivation of all equations enables the student to smoothly follow the derivation by sight, and can be understood relatively easily by students with moderate skills and backgrounds in mathematics.